Today we’re announcing updates to our Quantum Development Kit, including support for macOS and Linux, additional open source libraries, and interoperability with Python. These updates will bring the power of quantum computing to even more developers on more platforms. At Microsoft, we believe quantum computing holds the promise of solving many of today’s unsolvable problems and we want to make it possible for the broadest set of developers to code new quantum applications. When we released the Quantum Development Kit last December, we were excited about the possibilities that might result from opening the world of quantum programming to more people. 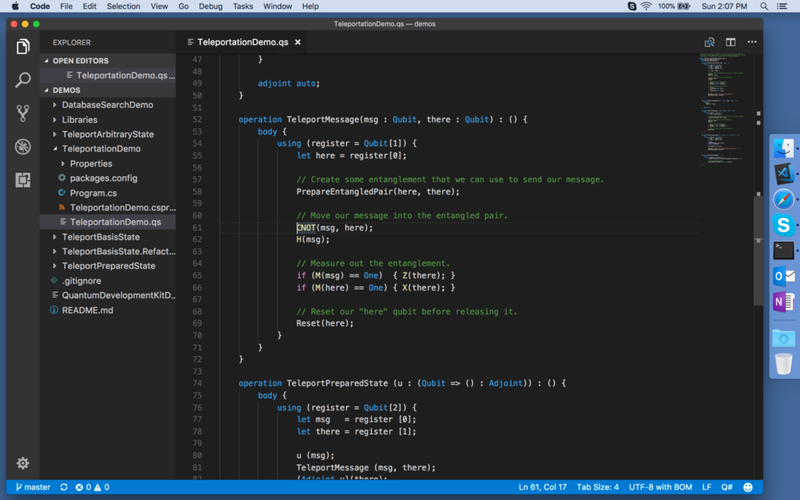 We delivered a new quantum programming language – Q#, rich integration with Visual Studio, and extensive libraries and samples. Since then, thousands of developers have explored the Quantum Development Kit and experienced the world of quantum computing, including students, professors, researchers, algorithm designers, and people new to quantum development who are using these tools to gain knowledge. Support for Mac- and Linux-based development. This has been our #1 requested feature from developers, and we’re thrilled to deliver support for building Q# quantum applications on macOS and Linux, including integration with VS Code and quantum simulation support. Full open source license for our quantum development libraries and samples. In December, we shared the source code for our libraries to help developers understand how Q# constructs work. Many developers wanted to do more than just learn with that code; they wanted to re-use it in their own applications and contribute their own enhancements back to the Q# community. We think that’s a great idea, so we’ve open-sourced the libraries here. Interoperability with the Python programming language. Many developers have existing libraries of code in Python so we wanted to give them easy access to that functionality from Q# without having to port anything. Available as a preview on Windows today, Python interoperability allows Q# code to call Python routines directly, and vice-versa. Faster simulator performance. We’ve increased our quantum simulator performance by up to 4-5x, giving you a much faster testing and optimization loop, especially on simulations involving 20 or more qubits. All of these new features are available to you now—download the latest Quantum Development Kit. We’re thrilled at the response to the Q# and the tools that power a new generation of quantum programmers, and we can’t wait to see what you’ll build next. 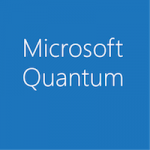 Watch our full quantum computing series on Microsoft Mechanics. Thanks for bringing your ideas to life with our tools, and happy programming!